Spring is in the air. Time to clean out our closets, open the windows wide, sweep away the winter dust, and refresh our personal style. Now, when it comes to personal style, mine admittedly leaves a lot to be desired. For instance, just the other evening my wife and I were binging on some old episodes of Friends. Yes, the classic 90s sitcom that basically held a mirror up to my life for the better part of that decade. Fortunately for a sad sartorial specimen like me, spring is also a great time to refresh your business’ style. By that, I’m referring to dusting off your organization’s communication strategy and taking a hard look at how you represent your brand to your audience. 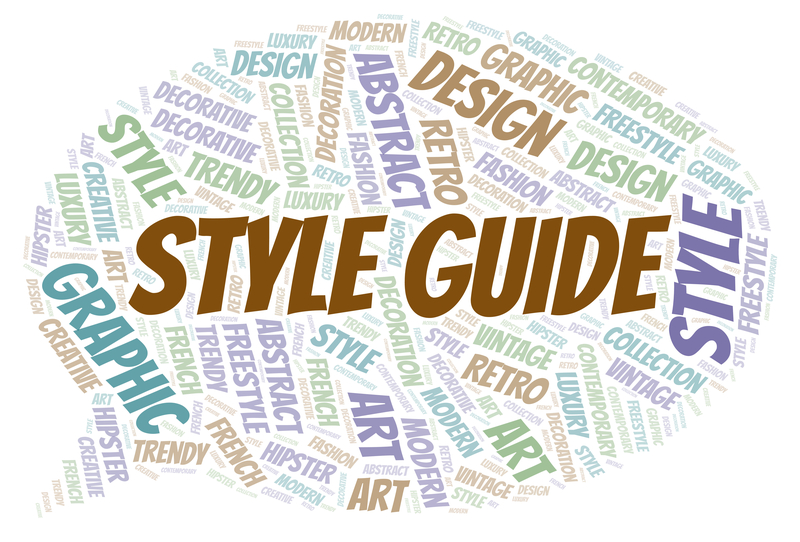 Yes, friends – I’m talking about your marketing style guide. Consistency – Your brand is your most valuable asset. To protect, preserve, and promote your brand, it’s essential to maintain consistency in messaging across all mediums and modes of communication. Clarity – A style guide helps clarify your brand message, and how that message is communicated. It helps reduce or eliminate any confusion among people in various roles across the enterprise and ensure that everyone always stays on message. Simplicity – Without a style guide, it’s all too easy for people to dilute the message. A style guide simplifies the process of writing any type of document and reduces the risk of confusion. Speed – With a well-conceived style guide, there is no doubt how to write a document. For your content creators, this speeds up the writing process, improves quality, and reduces the amount of editing and proofreading required. Don’t recreate the wheel. To make your job easier, reference an industry standard like the Chicago Manual of Style or AP Stylebook as your default for grammar, punctuation, and word usage. These guides address common areas of contention like whether to use the Oxford comma, and how to write numerical and financial terms. Note unique differences. Make sure to specify any differences in writing style among documents you write for various purposes and audiences, such as internal communication, technical documentation, client reports, social media, and marketing materials. Watch your lingo. It’s a good idea to call out any specific jargon, industry terms, or acronyms you allow in your writing. In general, it is best to avoid jargon and technical terms whenever possible, but if there are unique terms that your clients and audience understand, identify those in the guide. Keep it short. A writing style guide should run only a couple of pages in length. Many organizations produce a comprehensive branding style guide that includes both written and visual guidelines, to ensure branding consistency across all media. If your style guide includes visual guidelines, its fine to stretch it out to four or five pages, including illustrations and examples. Address your brand voice. Is your organization’s preferred style conversational, or formal? Do you get technical, or go for a layman’s tone? Your style guide should spell out your company’s unique voice, level of formality, and word usage, and whether it differs among various types of content and media. For example, you may choose to allow an informal, conversational tone in blog posts and web content, but never in white papers, client reports, and email. Content Marketing Institute offers up some great examples of corporate style guides that effectively address voice here. Take advantage of this season of renewal to develop or refresh your marketing style guide. Once created, it’ll always be there for you. Does Your Content Marketing Lack Focus? Talk to Your Customers! The difference between a successful content marketing strategy, and one that is just… meh often comes down to how well you know your audience. The Content Marketing Institute (CMI) is an invaluable resource for B2B marketers. The B2B Content Marketing 2019: Benchmarks, Budgets, and Trends—North America report from CMI and MarketingProfs is chock full of great data (shout out to my talented colleague Carolyn Marsh—check out her latest blog post on this and other great resources for financial services content marketers). Several data points from this year’s survey present the importance of taking an audience-first approach in stark relief. First the good news: according to the study, 90 percent of the most successful B2B content marketers focus on their target audience’s informational needs rather than pitching product. Furthermore, the top three techniques these successful B2B content marketers use to research their audience’s needs include: sales team intelligence, website analytics, and keyword research. These are all proven, viable approaches, and it is particularly heartening to see that successful marketers value open communication with their sales colleagues. Now for the not-so-good news: Fewer than half of the content marketers surveyed talk directly with their customers. In fact, just 42 percent say they engage their customers as part of their audience research. That’s shocking! There is no better way to understand your audience and their informational needs than by talking to the people who already use your products. Your client base is a built-in focus group that should align closely with your target market. And since they already know you, they will generally be responsive and open to discussing their needs, wants, and pain points. I suspect there are two primary reasons many content marketers are reluctant to approach their company’s customers for input: 1) they don’t want to jeopardize the client relationship, and 2) they don’t want to step on their sales team’s toes. Leverage your sales team: Since the vast majority of successful B2B marketers already rely on their sales reps for market intelligence, it is one small step to ask them to introduce you directly to your company’s clients. The key is to explain to your sales team how getting direct customer feedback will help the marketing team produce better, more focused content that will generate a higher volume of qualified sales leads. A win-win! Establish expectations early: It is tough to get busy clients to give freely of their time, especially after they’ve implemented your product. It is much easier to get their buy-in early in the relationship, preferably as contracts are being signed. At that point, you can request certain deliverables, like a certain number of client referral calls, case study interviews or videos, and “research” or “focus group” sessions, perhaps in exchange for a discounted rate or other benefits (such as free attendance at your next annual conference or educational webinar). Check out this post for more ideas for getting client buy-in. Bundle the ask with a case study project: Speaking of getting buy-in, the best time to pick your client’s brain is during the case study interview. If you have a customer success story or case study interview session already scheduled, sprinkle in a few questions about their vendor research process, what types of content they read, view, or download, and the industry topics that most interest them. This information will be very helpful in setting your content marketing strategy going forward. Need help in identifying your target audience and choosing the right mix of content to reach them most effectively? Let’s talk! Contact me at ted at tedgoldwyn dot com or 914-715-2248. Write well, and be well! I love this time of year. Oh, it is busy, sure. Especially in my home, where my wife, three kids and I celebrate eight days of Hanukkah,and then roll right into Christmas and New Year’s Eve. But it is so full of joy, laughter, warmth, and fun that I wouldn’t have it any other way. As I write this on December 10th, our children have opened all their Hanukkah gifts, we have each selected this year’s charity of choice, the menorah candles have been lit for the last time, and I have fried up my final batch of latkes(traditional potato pancakes) for 2018. As I sit in my home office, wrapping up a few client projects while Alexa blares a mix of Christmas classics, I take some time to reflect on the successes and learnings since I launched Ted Goldwyn Writing in November 2014. The successes have been many. Looking back at four years in business, I am proud to have been involved in over 330 writing, editing, and marketing projects. This listincludes dozens of white papers and case studies, well over a hundred articlesand blog posts, and over a hundred editing and proofreading assignments. 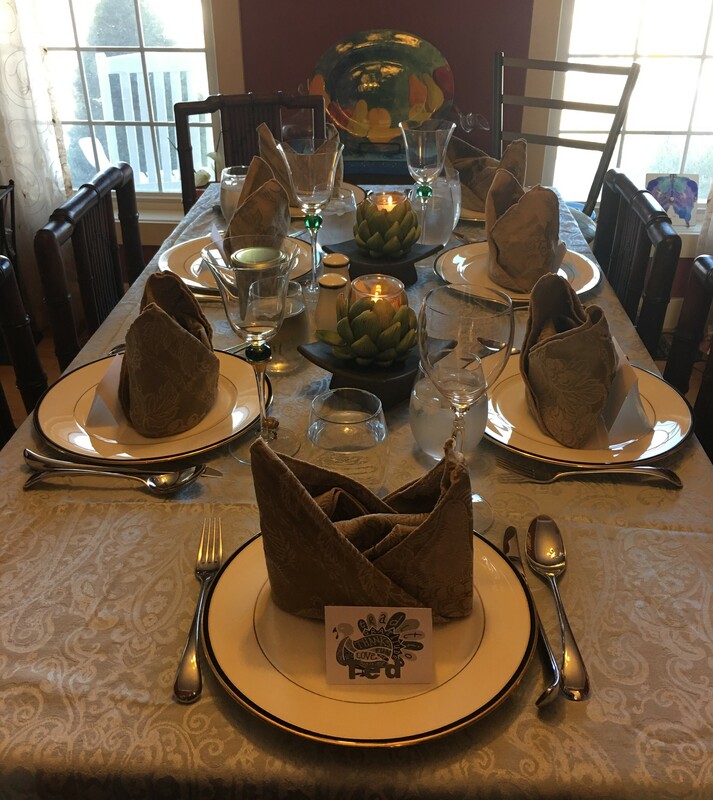 I feel blessed to have maintained wonderful relationships with a core group of long-time clients who use my services, via retainer contracts, regular monthly assignments, or ongoing repeat business. I am also thankfulthis year for those past clients who contacted me with new projects. And I’mexcited to be kicking off some energizing projects with a select number ofbrand-new clients. As I enter my fifth year in business, I am enthusiastic about what 2019 will hold. The die has been set for record growth, and I look forward to expanding on the core services I offer to financial services marketers. Based on client requests and in recognition of a definite need for basic business writing skills among professionals in a variety of industries, I began offering a BusinessWriting Basics remote training program in 2018. I present this program as alive or recorded webinar, customized to my clients’ specific needs. The training has been well-received, and I plan to roll this out more broadly in 2019. In addition, I am currently in talks with a local college to offer a full-day in-person course to area employers and the public. I am also early in the planning stages of writing a new book to help marketers navigate the stormy seas of dynamic content marketing. Staytuned! Of course, Ted Goldwyn Writing will continue to focus on content marketing, thought leadership, and editing for the financial services industry. If you are searching for an experienced financial services writer tosupport any of your 2019 content marketing objectives, let’s talk! I want to take a moment to thank you, my loyal readers foryour support, business, thoughtful advice, and genuine kindness over this pastyear. I wish you and your families a joyful holiday season and a New Year filled with success and happiness. Not so much all the grocery shopping, and days of preparation, and the hours of watching the turkey slowly roast in the oven. And certainly not the smothering hugs and lipstick-stained kisses from Aunt Martha as she makes her grand entrance into our previously-bucolic homestead. No, what my kids really look forward to are the leftovers. I have a mean turkey rice casserole recipe, and my kids beg me to cook it up every day for a week following Thanksgiving. I also make some great turkey croquettes. For some reason, my children seem to enjoy the leftovers much more than the original dishes. You know, the ones that my wife and I sweat over for days preparing. The key is to change the recipes up a little bit. Use the turkey, stuffing, and sweet potatoes in new, creative ways. Add some fresh ingredients, like cream of mushroom soup, rice, or egg noodles. Sprinkle a little pizazz into the mix. Come to think of it, the same approach works well in your content marketing strategy. One of the many benefits of developing a regular and consistent content marketing program over the course of months and years is that eventually, you have created a massive library of rich and flavorful articles, white papers, webinars, blog posts, and case studies to draw on. Once you’ve developed that library of delectable content, it’s simply a matter of defrosting the leftovers, reformulating your recipes, and mixing up all your ingredients until you have something new and delicious. In practice, this may mean taking the white paper you published last spring and recycling the observations into a webinar featuring a panel of internal and external subject matter experts, making sure to introduce fresh new insights into the mix. Or it may mean reheating portions of the article you wrote for a leading industry publication into a set of short blog posts. Another tasty approach to try is leveraging your recent case studies to create a series of short client testimonial posts on LinkedIn. The possibilities are endless. As we near the end of the year, it’s a great time to revisit all the delicious content you cooked up over the past twelve months. You’ll be surprised how many savory morsels are buried deep in those pages of valuable assets. All they need is a little loving attention and effort to turn them into a cornucopia of mouthwatering delights. Whatever else you do this holiday season, remember to save your leftovers. Your kids will thank you. ‘Tis the season of vampires, Frankenstein’s monster, and zombies. This makes it a great time to discuss the reanimation of that old content marketing standby, the white paper. I get it. In today’s information-packed, immediate-gratification world, the traditional white paper can seem windy, dry, and even a bit boring. Aren’t bright shiny objects like short blog posts, infographics, and 90-second video clips more effective at engaging your audience? Seventy-five percent of buyers are willing to share basic contact information in exchange for a white paper. Among the most popular content asset types, this preference is second only to registering for webinars (79 percent). For comparison, fewer than one-quarter of decision-makers are willing to share information in exchange for access to podcasts (19 percent), video (19 percent), and infographics (24 percent). Seventy-seven percent of executives have used white papers in the past 12 months to research B2B purchasing decisions. White papers remain the most effective way to attract and engage buyers of high-value, complex products and services. These decision-makers spend hours researching the best solution to their unique business challenge. A properly-executed series of white papers creates a foundation of expertise upon which your firm can build credibility within your target market. Over time, this foundation will harden and begin generating a steady stream of qualified leads and eventually, sales. Short is sweet: Although I still write a lot of traditional, long-form white papers of 4,000 to 6,000 words (up to 15-20 pages, with graphics), recently I’ve worked with several clients to produce shorter papers of 1,500 to 3,000 words. This format is perfectly designed for today’s busy, harried executive who doesn’t have the time to read a full-fledged white paper. The key is to still provide a meaty exploration of a core business challenge or industry trend. Seeing is believing: When white papers first became popular in business in the early 1990s, they consisted primarily of plain text set against a white background, with few if any graphical elements, charts, or illustrations. This approach has changed dramatically in recent years. Today, white papers include photos, company logos, call-out quotes, charts, graphs, illustrations, and infographics. Some even include video clips in interactive, electronic formats. It is a welcome change. Today’s “white” papers are much more engaging and easier to digest than those of the past. Promote, promote, promote! You may have just written the most thought-provoking, scintillating piece of content in the history of white papers. Unfortunately, if you simply slap it up on your website, no one will find it. This is where social media posts, media alerts, press releases, emails to your current clients, prospects, and influencer lists, and sharing on popular white paper sites like White Paper Library and TechRepublic can help get the word out and extend the life and usefulness of your publication. Reuse … recycle … repurpose: A white paper is the centerpiece of a comprehensive content marketing strategy. If you take an evergreen approach, focusing more on tried-and-true insights and advice rather than chasing the trend of the moment, a single white paper can continue paying dividends for years. The content can be sliced into a series of shorter articles, each focusing on one key topic from the paper, and repurposed endlessly via social media posts, blog posts, live webinars, podcasts, and recorded videos. Avoid the overt sales pitch: OK, this one is nothing new, but it remains a best practice. White papers are meant to provide a thorough analysis of a specific business problem or market trend and offer a well-considered solution. Buyers do not expect a hard-sell. Leave that job to your product brochures, sell sheets and case studies. It’s acceptable to include a “learn more” call to action toward the end of a white paper, but that’s about it. The white paper is strictly a top-of-the-sales-funnel asset targeted to buyers beginning their research. Once you establish credibility as a thought leader, the buyer will return to investigate your offerings. The white paper is not dead! It remains an important element of a well-balanced content marketing strategy, particularly for firms offering high-value, high-cost products and services. Is it time to make it part of yours? Yuka just boarded her flight back home. My family was selected as one of three host families for a Rotary youth exchange student from Japan. 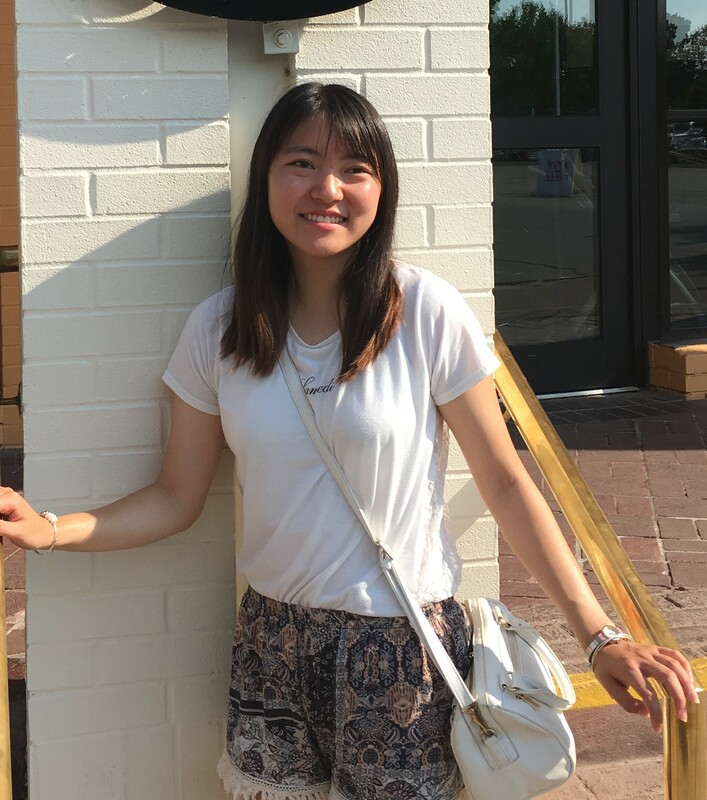 Yuka spent this past year immersing herself in American culture, language, and education, and she had the experience of a lifetime. For my family, the experience was every bit as rewarding. Through Yuka, a joyful, kind, and enthusiastic ambassador for her home country, we caught a glimpse through the peephole into the fascinating world of Japan. For her part, Yuka confronted several challenges along the way, especially early on as she struggled to become fluent in English and understand the nuances of our relaxed communication style. Communicate simply and clearly: Simplicity is always a worthwhile goal in communications, but when dealing with a non-native English speaker, it is particularly important to break your writing down to the core message. What is your goal? Are your sentences and paragraphs overstuffed with purple prose? If you slash all non-essential words and phrases, is anything lost? If at first, you don’t connect, restate your message: Sometimes I would ask Yuka a question, and be rewarded with a blank stare. This was a sure sign I needed to rephrase the question in a different way, using simpler, more common verbiage. Occasionally it meant I needed to provide additional background information or context. These interactions reminded me there is usually more than one way to communicate with your audience. Know your audience: In Japanese, there are four distinct ways of addressing people: kun, chan, san, and sama. These various styles range from informal, to condescending, to deferential. Japanese custom requires speakers to address people differently depending on their relative ages and organizational rank. Although the U.S. is a much less formal and hierarchical society, it is still critical to understand your audience and cater your messaging style accordingly. Ignoring your audience’s perspective means at best, encouraging misunderstanding and at worst, offending the reader. Listen before speaking: Yuka taught me to listen more closely and to have patience. As a non-native English speaker, she would sometimes struggle to find the right word. After much trial and error, rather than quickly jumping in with what I thought was the phrase she was looking for, I learned to let her sort through her mental catalog to find the words that fit her thoughts. I often found she was trying to say something different from what I assumed. This lesson is already helping me in my writing and interactions with collaborators and clients. Even as native speakers, few of us can always, perfectly articulate our thoughts, goals, and messages. It pays to listen, ask follow-up questions, and engage in interactive dialogue before drawing conclusions. Thank your lucky stars: Those of us living in the English-speaking world have it easy. Not only does a majority of the (business) world speak English, other languages, particularly those native to Asia, are much harder to learn. Consider that Japanese has four separate systems of written language: kanji, hiragana, katakana, and romanj. Kanji, which was imported from China two millennia ago, consists of 2,000 symbols in common use, each representing a different word. Japanese children must memorize over 1,000 kanji by the time they finish elementary school. My family and I are grateful to Yuka for sharing her wonderful and unique perspective and personality with us for a few months. We miss our host daughter/sister already and look forward to seeing her again, perhaps next time in Japan. This month, I’m going to share one of my favorite tactics for writing effective content: mind mapping. Now, this is a bit wonky and “inside baseball,” but when I began using the technique in my content writing practice a few years ago, I saw major improvements in my productivity and efficiency, as well as the structure and organization of my articles, white papers, and blogs. Riveting, isn’t it? But this standard outline approach has been around for hundreds of years, dating back at least to Ramon Llull (1232-1316), who some claim invented the outlining method we use today. In the earliest stages of a big writing project, I find mind-mapping is much more effective for stimulating the free flow of ideas. In fact, studies have shown that mind mapping improves memory by 10 percent, and children that use mind mapping recall words 32 percent more effectively. Mind mapping has also been shown to improve organizational and writing skills. A mind map begins with a central idea, visually represented by a circle at the center of the page. From this central idea or picture, various branches and nodes radiate outward. Each node can have sub-branches and sub-notes radiating out from it, and so on. 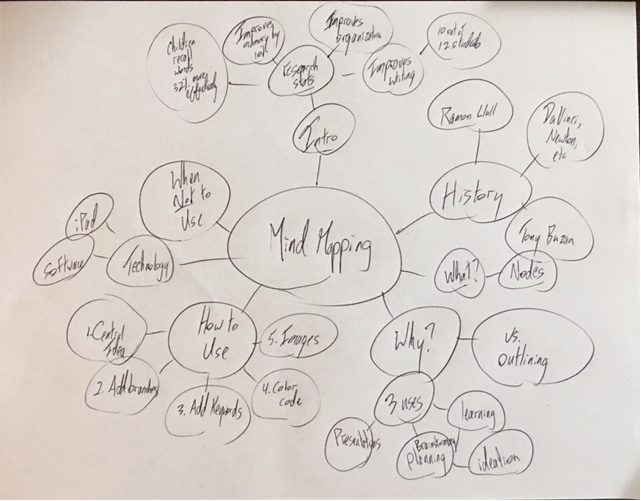 People use mind maps in several ways: for taking notes, for public speaking (think Prezi), for brainstorming and ideation, and for planning and organizing thoughts. I find that mind mapping is most effective during the brainstorming or ideation phase of a project. For shorter pieces like this article, I’ll create a quick mind map, then begin writing the initial draft. For longer-form, more complex writing projects like white papers and research reports, I will often take the extra step of creating a traditional outline from the mind map. I find this helps me to organize my thoughts in a more linear fashion and makes the actual crafting of the first draft a much easier exercise. Check out imindmap.com to learn more about Buzan’s Mind Mapping Method and specialized software developed to assist with mind mapping. The Asian Efficiency site is also a great resource to learn about mind mapping, outlining, and other note-taking and productivity tips. Have you tried mind-mapping? I’d love to hear about your experiences. Just email me at ted@tedgoldwyn.com. My youngest son is seven years old. Sometimes, he takes what I say a bit too literally. As he steps off the bus that afternoon, what’s the first sentence out of my son’s mouth? What my all-too-brief early-morning response neglected to fully explain was that at 3:00 PM, I would still be chin-deep in my workday, a crushing project deadline looming, and I wouldn’t be available to play until 5:30 PM. Instead, he heard that I promised to play ball with him right after school. The kid did not let up until I donned bat and glove and met him in the backyard. At the other end of the scale, my oldest son is 15. Sometimes I fail to shift gears after chatting with my youngest. Let’s just say those conversations with my surly teen tend to be less-than-productive. Now, my wife is a teacher, so she is MUCH BETTER at communicating with our children. But even I, Clueless Dad, have the potential for marginal improvement. Better yet, some of the lessons I’ve learned in talking with my kids are highly transferable to the world of marketing. Rule #1: Know your audience. Clearly, I have room for improvement here. With my seven-year-old in the example above, I generalized where I should have been very precise and time-specific. You must cater your message to the knowledge base, emotional readiness, and needs of your specific audience. Rule #2: Never talk down to your clients. How many times have you watched a TV commercial and thought, “that was really moronic?” Most likely, the ad agency aimed at the lowest common denominator among its target audience. The problem is, by taking such a broad, dumbed-down approach you end up alienating and irritating a major slice of your prospect base. Just like I do with my teenager. Every time. Rule #3: Provide the exact right amount of information. It’s very easy to give your prospect too much, or too little information. Too much, they will get bored and tune out. Too little and they won’t understand what it is you are offering. With my seven-year-old, if I simply provided the extra critical detail that we would play baseball right before dinner-time, all would have been well. In the case of my 15-year-old, I could have just poked my head into his room, said good night, and my message would have been effectively (but more subtly) delivered. Rule #4: Communicate clearly. Nothing is more important than clearly stating your message. Again, in the example of my seven-year-old, I could have averted an unnecessary crisis if I had simply stated exactly when I would be available to play baseball. Rule #5: Communicate often. My 15-year-old strenuously objects to this rule. But even with a snarling, anti-social teenager, it’s important to maintain regular contact and to nurture a long-term relationship. He may think he doesn’t need me right now, but the time will come when he has a rough day at school, or gets in a fight with his girlfriend, or washes his red socks with his whites. He will need me then, and it’s important to keep the lines of communication open. The same rule applies to your prospects. They may not need your services today, but will they remember you six months from now, when an urgent need arises? Stay in touch, and they will. Bonus rule: You can’t force funny. My other child is a middle-schooler. My mission in life is to get her to laugh at my “jokes.” Or if not to laugh, at least crack a smile. I am tracking every eye-roll I get as a minor win in my journey toward parental redemption. What is this scary beast? It’s an all-too-common scenario: your company has a compelling customer success story just waiting to be told, featuring the perfect match between a well-defined business challenge and your solution, a seamless implementation, and juicy, quantifiable results. Your client is beyond ecstatic and willing to share their love with the world. They agree to participate in a customer case study and… you’re off to the races! The problem? The case study project stalls midway through thanks to other people getting involved. Legal. Compliance. Marketing and communications. The executive suite. Get pre-approval from key stakeholders. These are tried-and-true, highly effective techniques. But the case study project is a long race, with many opportunities for error. Even if you follow these best practices consistently and diligently, there is still no guarantee that your project will reach the final turn without blowing a tire. Revisit the benefits: If your customer resists publication of the success story, remind them of the benefits. The client receives free promotion via your website, social media channels, email lists, press releases, and marketing campaigns. The client’s employees involved in the service implementation are recognized for their success, a powerful reward and motivational tool. Lastly, remind your client that your sales team will use the case study in prospect engagements, reducing the need for those annoying and time-consuming reference calls! Negotiate “anonymous” approval: If your client still won’t budge, try to obtain their approval to publish the case study anonymously. Although not as powerful as a named case study, most organizations are fine with this approach. Assuming it presents a strong narrative and includes quantifiable results, the story can still serve your original goals and be highly effective. Use it as a “campfire story:” Sometimes your client just won’t approve the project. All is not completely lost, however. Nothing prevents you from using the story for internal training purposes or as unnamed, anecdotal evidence in informal conversations with prospects. Customer success stories are powerful vehicles and should be a fixture in every content marketer’s garage. It’s reassuring to know that even if the case study project blows out on the final lap, you have a spare tire available. Write well and be well! Picture this. You have just helped a new client achieve his business goals. He can’t stop gushing about how thrilled he is with your product or service, and perhaps even offers a testimonial. So, you cautiously ask your client to participate in a case study about his experience with your company. He agrees, and you’re on your way! That is, until just a month later, after you have spent hours conducting client interviews, gathering background information, and crafting it all into a compelling narrative, the case study project abruptly stalls. Somewhere, somehow the case study project hits a brick wall. Unfortunately, once this happens the project is usually DOA. I’ve been there. As a content writer who specializes in case studies (also known as client success stories), I’ve experienced this exact scenario, multiple times. The good news is, the brick wall is entirely scalable. With a little bit of pre-planning and “greasing the wheels,” you can ensure that every case study project will be a smashing success. The key is getting buy-in from all stakeholders, before you begin. Train your internal sales team—Once you’ve created your pitch packet, take the time to educate your sales reps on the benefits of client case studies and their role in the process. Use this opportunity to also gain their trust, as they are critical gatekeepers to the client relationship. Promise to keep the communication lines open and provide regular updates on the status of the project. Gain the trust of your client—The most critical step in the process is gaining your client’s trust. This starts right from the beginning of the relationship as you talk with the customer about their goals and objectives, and what they hope to achieve with the implementation of your product or service. If you can, set up a series of meetings or phone calls to get to know them better. Get pre-approval from key stakeholders—Lastly, before you assign the case study to a writer or schedule the first interview, ensure that all key players at the client’s firm have given their tacit approval for the project. This may include the legal, compliance, marketing, or public relations departments. Depending on the size of your client’s company, it may also include a member of senior management, or even the CEO! Ask if they have any special requirements on how the case study will be used in your marketing and decide whether those restrictions will enable you to meet your goals. It’s always better to back out of the project before it begins, rather than investing weeks of time and effort before pulling the plug. Of course, even if you follow all the above steps, there is no guarantee every case study project will go off without a hitch. Next month, I’ll share some tips on what to do if your project still hits that proverbial brick wall. Meanwhile, If you’re interested in learning more about writing effective and compelling case studies, I highly recommend two fantastic resources: Stories That Sell : Turn Satisfied Customers into Your Most Powerful Sales and Marketing Asset, a book by Casey Hibbard, and Ed Gandia’s Writing Case Studies: How to Make a Great Living by Helping Clients Tell Their Stories, an online course distributed by American Writers and Artists Institute (AWAI). Until next time, write well and be well!